A break at Aegean Apartments gives you immediate access to all the fun and excitement Surfers Paradise is famous for. The resort is just 100 metres away from a great selection of cafes, bars and restaurants in central Surfers Paradise. There’s food from all over the world on offer and plenty of family-friendly and affordable options. For great shopping, head to nearby Cavill Avenue or check out the iconic Surfers Paradise Beachfront markets, which take place every Wednesday, Friday and Sunday night. Just 150 metres from Aegean Apartments, Surfers Paradise Beach offers an expanse of golden-white sand and sparkling surf to enjoy. Learn to surf, enjoy a cooling swim in the Pacific, take on your friends at beach volleyball, or simply kick back on the sand and soak up the sunshine. If you can drag yourself away from the coast, beautiful national parks at Burleigh Heads, Lamington, Springbrook and Mount Tamborine are waiting to be explored. 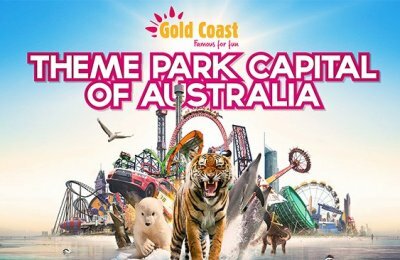 No family break on the Gold Coast is complete without a trip to the city’s world famous theme parks. Movie World, Dream World, Sea World and Wet ‘n’ Wild Water World are all less than an hour’s drive away.